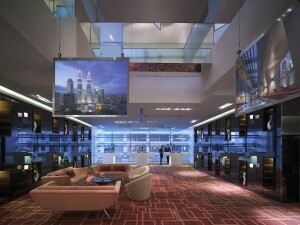 Traders Hotel, Kuala Lumpur is a contemporary city centre hotel that caters to smart business and leisure travellers. 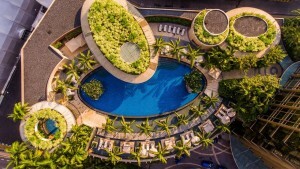 This hotel in Kuala Lumpur offers 571 stylishly appointed rooms and suites in the heart of the city. 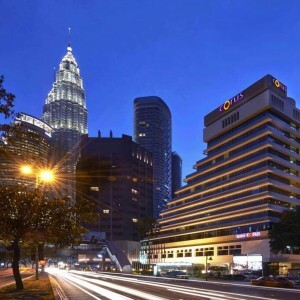 Traders Hotel Kuala Lumpur offers value accommodation with a range of amenities and facilities combined with an exceptional level of service that is distinct from other KL hotels. Traders Club: Traders Club rooms offer an enhanced level of service, comfort, and convenience for busy travellers, including a personal concierge. All rooms on the Traders Club floors are non-smoking and have exclusive access to the Traders Club Lounge on level 32. 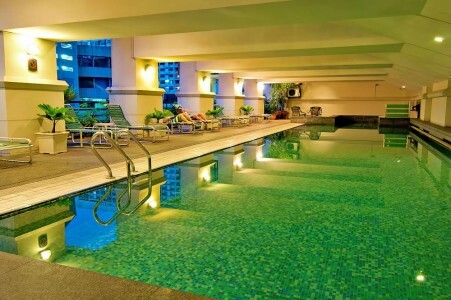 Suites: Suites at Traders Hotel, Kuala Lumpur offer spacious and luxurious accommodations. All suites offer a separate sitting area that is perfect for relaxed business meetings, and a choice of dramatic park or city views. All our guests enjoy complimentary WiFi broadband access throughout the hotel premises and in the hotel limousine during airport transfers. It's the freedom smart Travellers know at Traders Hotel, Kuala Lumpur. Restaurants: Traders Hotel Kuala Lumpur provides a fine selection of restaurants in Kuala Lumpur to satisfy your culinary requirements. Enjoy some of the city’s best steaks in intimate elegance at Gobo Upstairs Lounge & Grill on level 6. For more casual dining and popular entertainment, sample Western and Asian fare under an animated light show at the Gobo Chit Chat on level 5. Lounges & Bars: Enjoy the creative cocktail list at the Gobo Upstairs Lounge. A tourist attraction in its own right the famous SkyBar is a cosmopolitan open-air rooftop cocktail bar and a must for any visit to KL. Happy hour runs from 11am - 9pm.